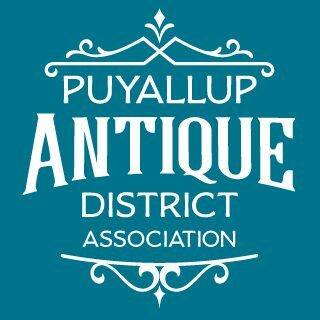 Anyone can buy a bouquet of flowers, a shirt-and-tie or a best-selling book for a special occasion, but if you want to find a gift that will really show you care, buy a vintage collectible or gently-loved antique from the Puyallup antique district. Whether you’re looking for historic postcards, collectible figurines or hard-to-find books and records, Puyallup antique stores have a wide selection to help you find that special gift with a little bit of history. Our inventory changes daily, as pieces are sold and new antiques arrive. Music often reminds us of the past, helping us recall the good old days, tough times and lost loves. It also helps us to reconnect with ourselves and each other. For the music lover in your life, consider an antique record, a rare live album, a phonograph, a vintage radio console or maybe a jukebox, depending on your budget. If the gift recipient enjoys playing music too, Puyallup antique stores have a selection of vintage musical instruments, sheet music and music stands to choose from. Signs are a fun way to remember the past. The lucky gift recipient is sure to love your choice of old street name signs, Texaco, Firestone and Chevrolet signs, American and roadside travel signs, or vintage products with a long legacy like Coca-Cola, Moon Pies or Big Boy restaurants. The signs represent a piece of yesteryear and help us remember special places and things – and they add character to a home when used as décor. It is hard to go wrong with an antique book if it is a title, author or subject matter the gift recipient is interested in. Ask our Puyallup antique store owners if they have any first edition, signed or rare books that might be of interest. For lovers of the roaring 1920s, look for The Great Gatsby by F. Scott Fitzgerald, for example. For readers who enjoy a darker tale, consider Franz Kafka’s The Metamorphosis. Reading old etiquette books and history textbooks can also be entertaining. Vintage magazines are popular and can be fun to match up with a special date. Was your husband born in June 1960? Look for a copy of Life magazine from June 1960 to show him what was going on in the world the year he was born. Children’s classics are frequent finds at Puyallup antique stores, so look for favorite stories in good condition. Jewelry lovers will particularly appreciate the beauty and history in an antique watch, cufflinks, ring, necklace or earrings. Each piece of vintage jewelry was uniquely made and tells the story of its owner, including everything from family heirlooms to costume jewelry. Think of the fun you and your recipient will have imagining how a particular piece was worn and used through the previous owner’s lifetime. Was that gold pocketwatch passed down from grandfather to son to grandson for generations? Maybe that beautiful diamond ring was a gift from a husband to his wife to celebrate their 50th anniversary. Everyone collects something. Find out what your loved one collects – mint stamps, rare coins, Native American art, hard-to-find vinyl, historic postcards, turn-of-the-century ewers, handblown glass perfume bottles, antique tools, etched glass, collectible stoneware, Matchbox cars, vintage toys – and find a unique piece to add to their collection. Each time the gift recipient looks at the gift, they’ll think of you and appreciate the effort you put into it. No matter what you choose, if you consider your gift recipient’s tastes and interests, you’ll find the right antique gift in Puyallup or at a vintage shop in Tacoma or Seattle. You might even find a treasure or two for yourself along the way!